Jeanette Buchanan, RDH was the founder of the Montana Dental Hygienists’ Association (MDHA) in 1963. She served as our first President from 1963 through 1966. 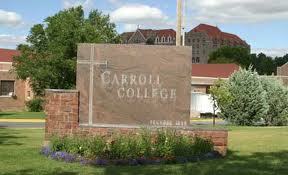 Carroll College in Helena, MT established the first Dental Hygiene program in Montana, It was a 4 year bachelors degree. Jeanette Buchanan, RDH serves as ADHA President. First hygienist is appointed to the Board of Dentistry. 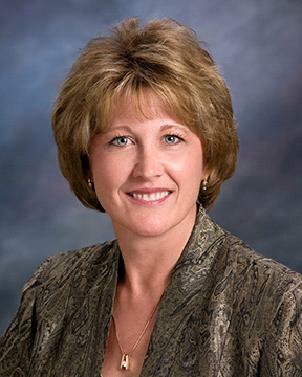 Jeanette Buchanan, RDH was appointed to the previously dentist only board. In 1985 the option of administration of local anesthesia licensure and CPR requirements for licensure were added to the statutes. This was accomplished by the successful passage of Legislative Bill SB 214. Proclamation of Dental Hygiene Week. October 15-21. Passage of Legislative Bill SB 90 allowed dental hygienists to practice under General Supervision and Licensure by Credentials was implemented. With the closure of the only DH program in the state for the next 12 years this proved to help keep our work force intact. Mandatory Continuing Education for dentists and dental hygienists was added to the Board of Dentistry Rules. Judy Harbrecht, RDH was awarded the Distinguished Service Award. A second hygienist was added to the Board of Dentistry. 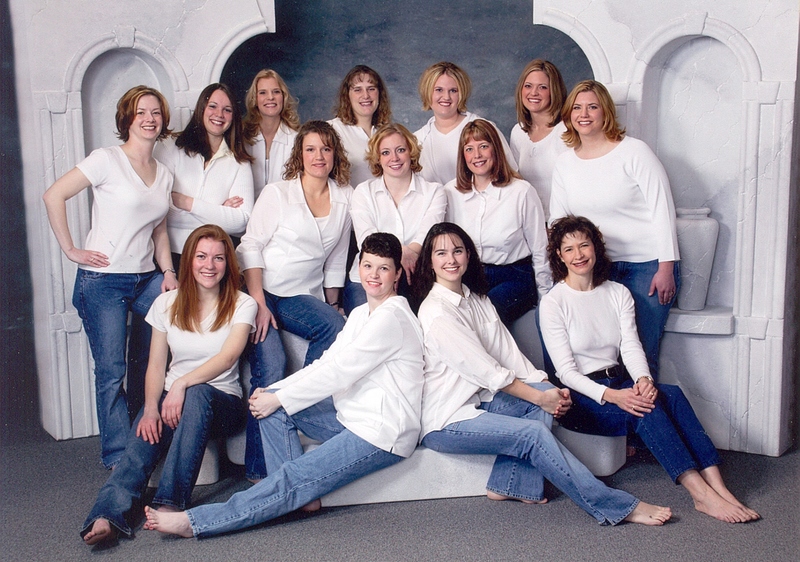 In 1999 we were unsuccessful in our quest to establish a separate Board of Dental Hygiene, but it did lead to the creation of the Dental Hygiene Committee within the Board of Dentistry. Legislative Bill HB 395 established an associate degree Dental Hygiene program at MSU-Great Falls College of Technology. 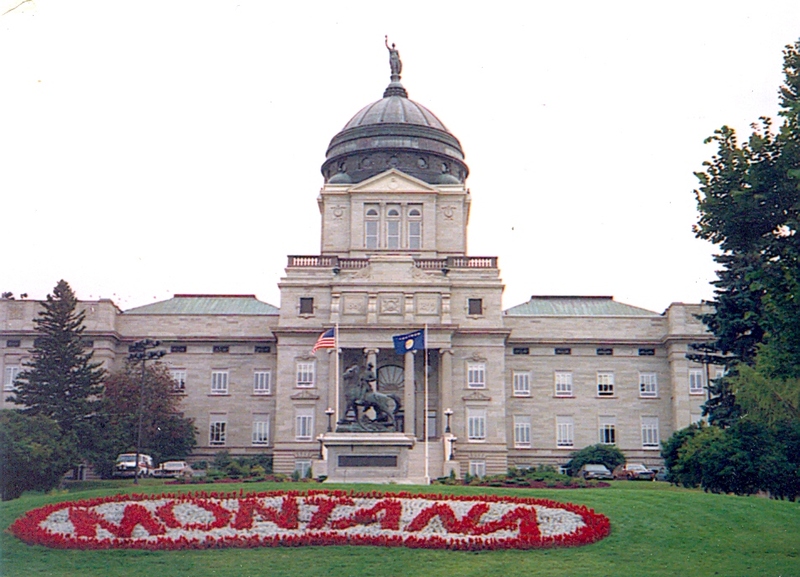 Senate Bill 190, allowing for public health supervision with additional licensure called the Limited Access Permit (LAP) Passage of Senate Bill 190 into law allows a Montana licensed dental hygienist to provide dental hygiene preventive services without the prior authorization or presence of a licensed dentist in a designated public setting. To work under “public health supervision”, a dental hygienist must obtain a Limited Access Permit from the Board of Dentistry. The MDHA Board of Trustees voted to established a new position on the board to consolidate several standing committees into one hired position. The Executive Administrator is responsible for the newsletter, directory, web site, phone calls, e-mails and to assist the Board however necessary. MSU-Great Falls graduates the first class of dental hygienists. Dental Hygienists added to Medicaid reimbursement designation. 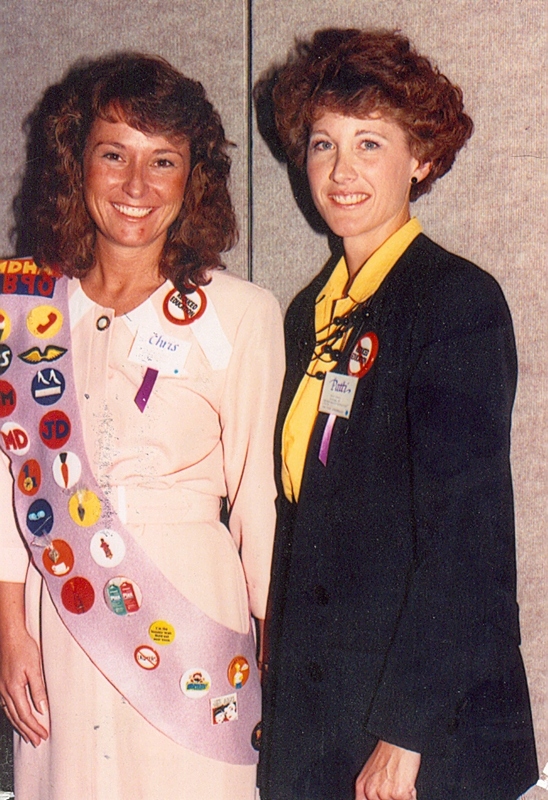 Judy Harbrecht, RDH was awarded the 2006 Pfizer/ADHA Award for Excellence in Dental Hygiene at the ADHA Annual Session. This award was designed to recognize dental hygienists for outstanding accomplishments that impact the practice and future of the dental hygiene profession. It was a progression of events and achievements that lead to her nomination, but especially the leading role she had in passing legislation creating the Limited Access Permit (LAP). This allows dental hygienists the opportunity to practice under “public health supervision.” Utilizing that option, she began the first clinic of its type, the Golden Oldies, serving the residents of a nursing and skilled care facility. The impact of this accomplishment has been felt in Montana, but has also been influential on a national level, with calls and inquiries from all over the United States. Judy’s involvement was for unselfish reasons, to improve the patient access to quality care. 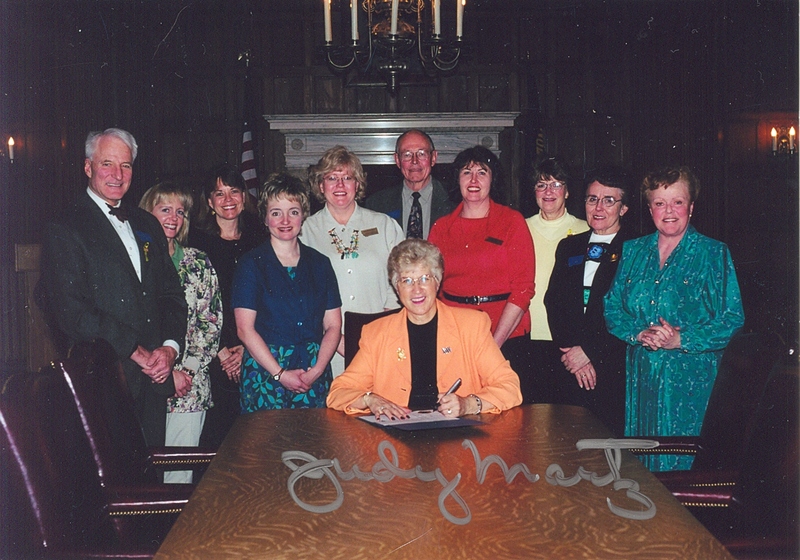 The one area that has allowed Judy to make the most difference is the legislative arena. She has a level of legislative knowledge that has been so beneficial to the practice of dental hygiene in Montana. With the success of the Golden Oldies, we started seeing other long term care facilities employ dental hygienists. This not only benefited Montana, but also give other states a template, courage, and motivation to follow suit. Patti Conroy, RDH was honored as a recipient of the Distinguished Service Award at ADHA Annual Session. Patti’s continued involvement and long list of accomplishments has made her a shining star in Montana and on the national front. She has served MDHA and ADHA in a variety of capacities and shown her leadership abilities throughout the years. Her list of accomplishments is extensive and broad based. Legislative issues have always been central to Patti’s association activities. She has both authored and lobbied for legislation to; allow local anesthesia for dental hygienists, provide general supervision, allow licensure by credential, secure our educational base in statute, and establish unsupervised practice for dental hygienists in public health settings. We thank Patti for creating a positive image for dental hygienists and working so hard on our behalf. Her contributions have made a difference for all of us! MDHA redesgned the website and launched a Facebook page. Like us on Facebook! Legislation introduced by MDHA passes through House and Senate and is signed into law by the governor, allowing general supervision of local anesthesia by RDHs, and giving RDHs limited prescriptive authority for topical fluorides, non-systemic oral antimicrobials, and topical anesthetics. The number of licensed dental hygienists surpasses the number of licensed dentists in Montana, with 821 RDHs and 773 dentists. What’s in our future . . . ? That is up to all of us now. What do you see in the future of dental hygiene care in Montana? How can we serve the large spread out population in Montana? Join with MDHA in solving and serving these needs.